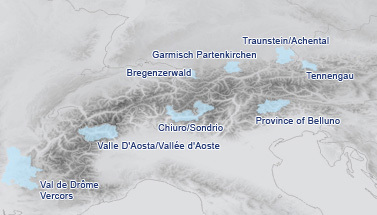 The transnational perspective is part of the project layout: AlpHouse strives to develop a common methodology to register architectural and geographical data that can be applied throughout the Alpine Space. By this instrument the diversity of the regions can be recorded in a common grid. Subsequently the findings will be made accessible and applicable transnationally by the qualification and information offers of AlpHouse. AlpHouse compiles the general fundamentals of alpine architecture and energy efficiency and at the same time pays particular attention to regional specifics. In this way different regions can learn from each other and benefit from concerted action, while the diversity of their architectures and educational measures is kept alive.